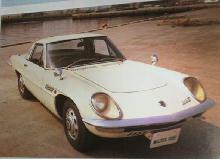 An incredible car when first launched at the 1960 London Motor Show, designed to beat Ferrari on the race circuit!. The DB4GT Zagato body was built on the shortened chassis of the "standard" DB4GT, very light in weight and entirely handmade by well known Italian coachbuilder Zagato. DB4GT Zagato performance can only be described as staggering, with a 160mph top speed coming from an engine producing 314bhp. 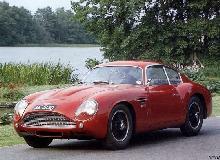 The DB4GT Zagato had a distinguished competition history with many victories both at hone and abroad. 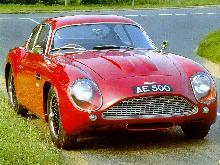 Only 19 cars were originally produced between 1959 and 1963, another batch of cars were produced in the late 1980s by well known Aston Martin specialist, Richard Williams, with the assistance of the Aston Martin factory, using up unused chassis numbers.